Montréal is well known as a cycling mecca. Home of the Grand Prix Cycliste de Montréal and Hors Catégorie bike shop. Since 2013, we have the privilege of having our cycling caps available from their shop. 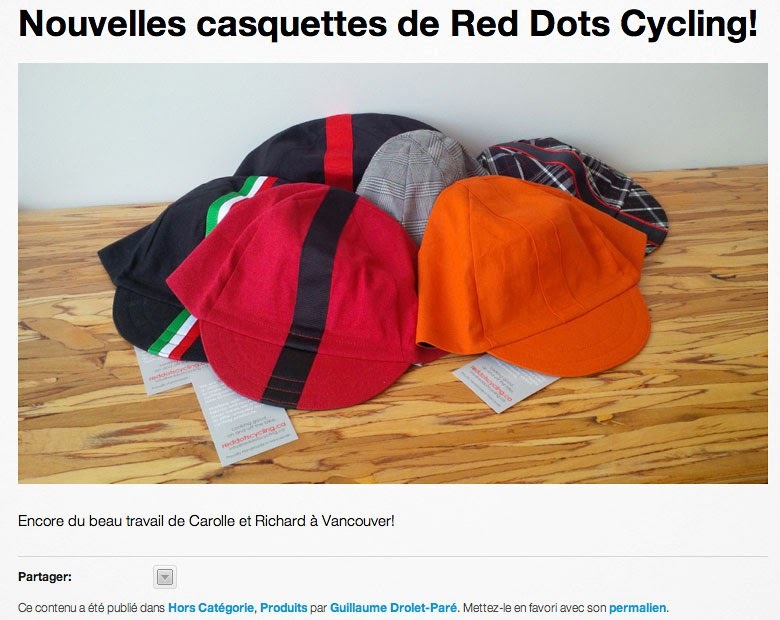 Today, Guillaume sent us une belle photo of a good selection of caps from our new spring collection. I also want to mention that Hors Catégorie is the Canadian distributer of Casati bikes. The Italian brand is handmade from Monza and have been around for 93 years. 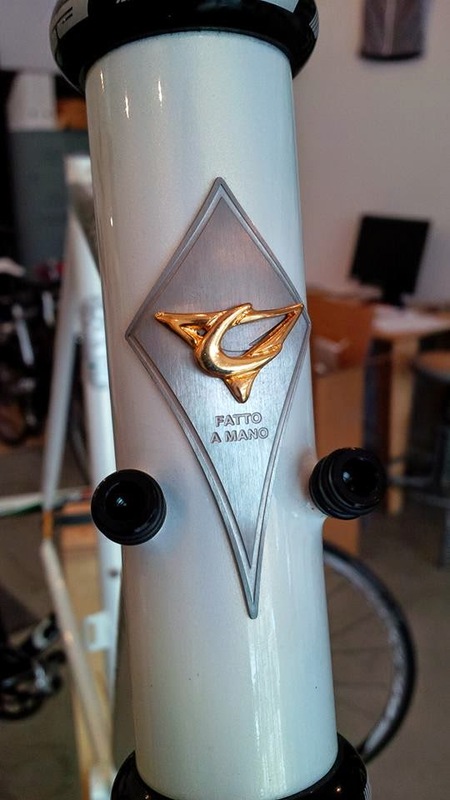 Founded by Pietro Casati, winner of the 1913 Tour of Lombardy, the company is run by Massimo and Luca, Pietro's grandsons. Notably, they have vintage frames made exactly like they were in the 1970s or 1980s. I invite you to visit Montéal's cycling mecca, Hors Catégorie and say hi to Fred, Guillaume, Stéphanie and Ludovic. Indulge in a Casati bike and our cycling caps... a perfect handmade combination.